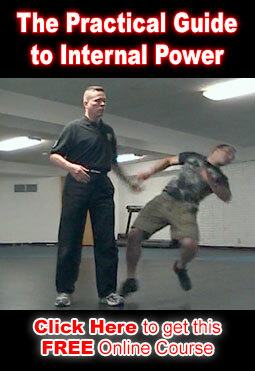 This is lesson 3 in our free online Wing Chun Training. This game builds directly on the Hide a Hand game you learned in lesson 2. With one important variation. Instead of trying to get a hand free, your goal is to touch the opponents left shoulder and keep your hand there as long as possible. One person should play offensively while the other just focuses on defense. Both players will need to use the sticky and trapping skills from lesson 2. This game is designed to teach the offensive player how to use their sticking and trapping skills to create openings where they can strike the opponent. While the defensive player gets better and sticking and trapping.